This particular form helps in keeping track of the mileage covered by different individuals over a period of time. This form contains each and every detail of the travel. Starting from the date of the journey, then starting point, destination, and a destination note, everything is included in this form for a proper study of the mileage traveled by an individual. Every worker is entitled to claim the reimbursement of the transport facility availed by him. This form helps in processing this particular reimbursement. The form is used as a legal document to get back the amount spent in traveling. After filling this form with necessary details the employee should submit it to the employer to get the reimbursed amount. 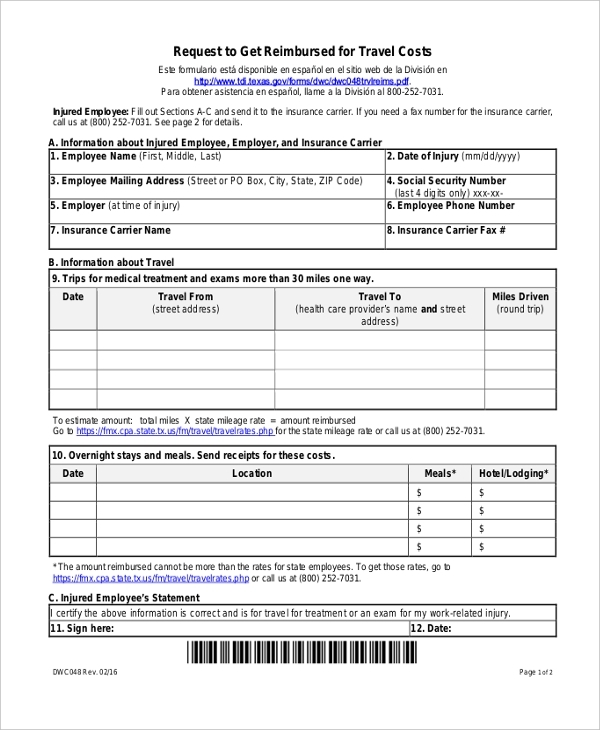 This form is valid in every sector and more or every employee who has the provision of getting travel cost from the organization uses this particular document. This form is also used to get back the reimbursed amount of transportation. Over here, the process takes place on a personal vehicle. If an employee has a personal vehicle, he can even claim the cost incurred in traveling for official purpose. By filling up this particular form with each and every detail of the travel, an employee makes a claim to the office for reimbursement. The various details which are highlighted in the form are the date of journey, description of the journey which includes the passenger name, the purpose of traveling etc and at the end, the total kilometers traveled. 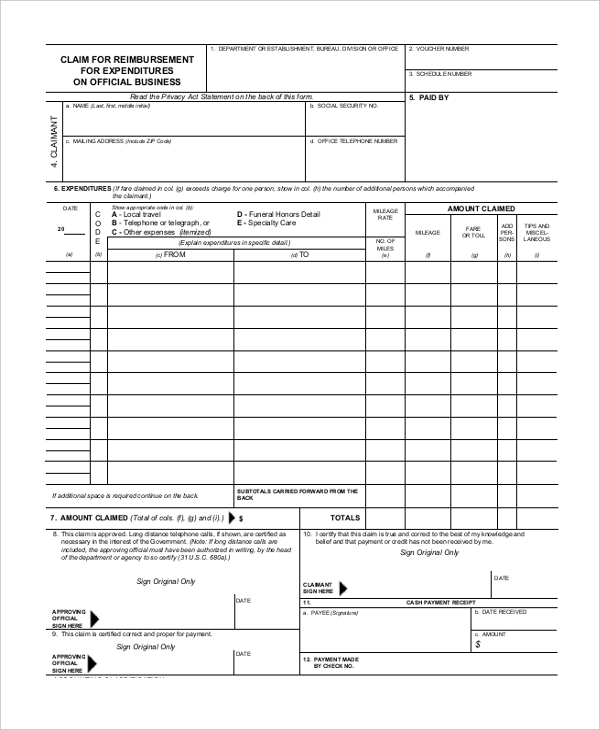 This form is used to reimburse the amount spent in traveling for a business trip. When an employee, travels to a particular place for the business purpose then that individual can actually claim the amount from the organization. The business mileage reimbursement form is used in those situations when an employee demands the travel amount from the organization. This form is the only document which the employee needs to serve to the organization for reimbursing the amount. The form contains various details like the date of the journey, the reason for travel and the kilometers traveled. 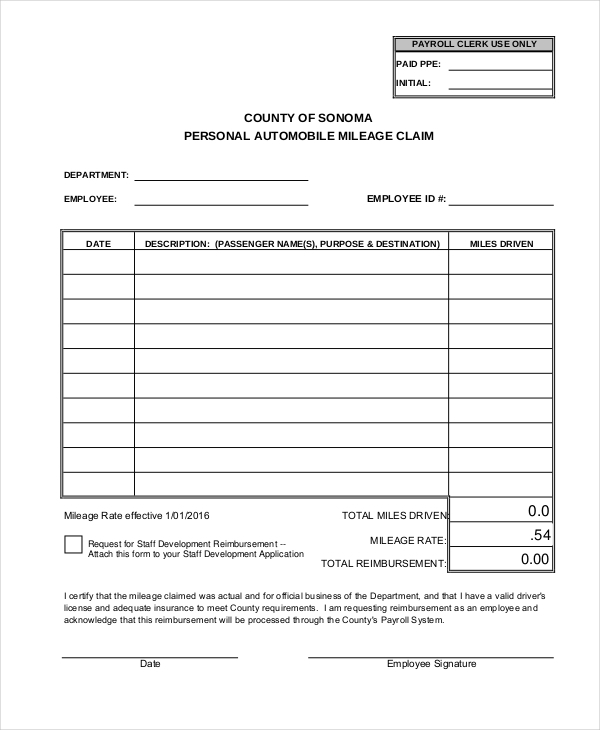 A blank mileage reimbursement form is a type of a form which helps an individual to claim the amount spent on traveling over a distance for some purpose. This particular form is used by every person working under an organization in order to claim the transport cost. The details in this form are the date of the travel, starting point and the ending point, the total kilometer travel and the purpose of the travel. This form acts as a legal proof for the people to get the amount back from the organization. This is a type of a form which is related to the system of a federal institution. This form also helps in reimbursing the travel amount of an individual. 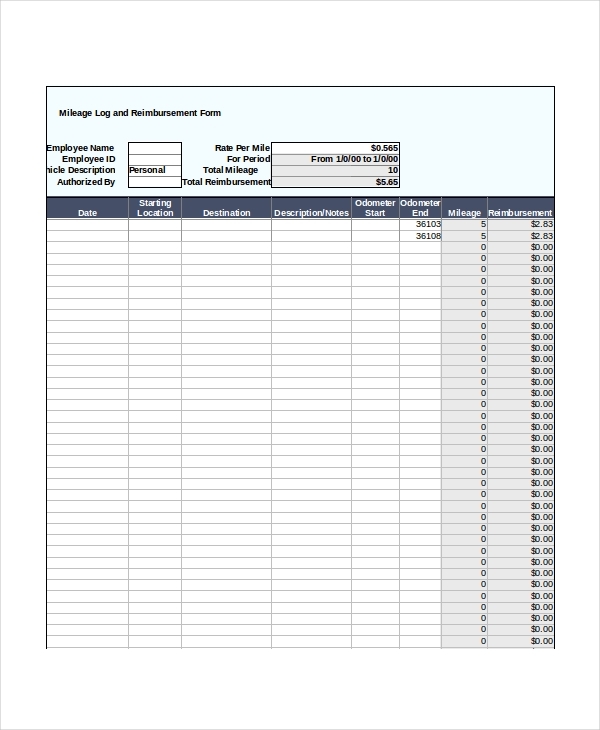 Through this form, every person claims the amount from the organization. Just like the other forms, this is also filled with details of transport like the kilometers traveled, the purpose of traveling etc. This is a type of a form which is used to incur the expense on the traveling. A particular individual working under an organization needs to travel to various places for business purpose. The amount spent on traveling by a car or any other vehicle needs to get reimburse by the individual from the organization. This form also contains every detail of traveling. What is a Mileage Reimbursement Form? All the employees in an organization need to travel to various places for the business purpose. In this scenario, the cost of transportation which is incurred by an employee gets reimbursed from the organization with the help of this form. 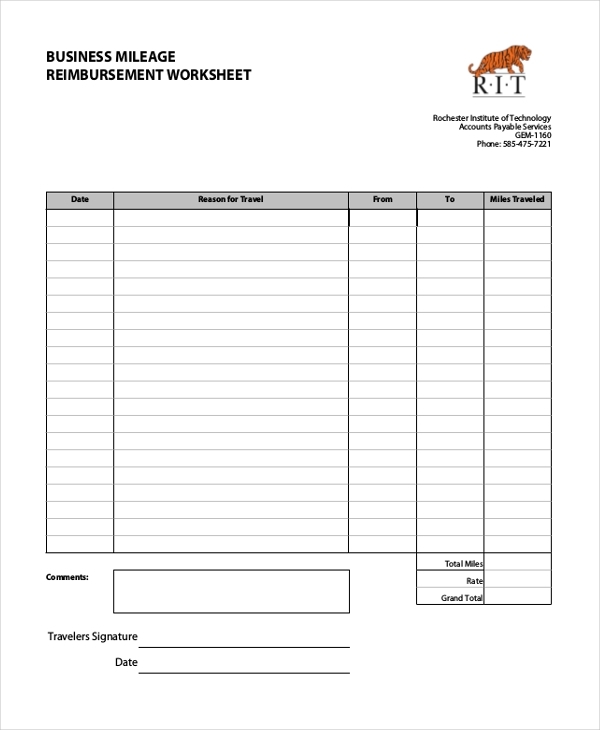 This form acts as a legal document for reimbursing the amount spent. The company gives back the total amount spent only on the basis of the details given in this form.The form contains many intricate details like the date of the journey, the purpose of the travel, distance covered and sometimes the number of passengers. All the details are filled by the employee and along with this, there are various bills and receipts which need to be submitted for repayment. There are various categories of this particular form like Auto Mileage reimbursement form, business mileage reimbursement form etc. The fast process of reimbursement- This form helps in a very fast process of reimbursement. Through this form, the employee can easily claim the amount spent on traveling to the organization. Even the repayment also takes place quickly due to this form. It is considered to be the only actual proof- No other document is needed if this form can be provided for reimbursing. This form is considered to be the only document which any organization needs in the process of repayment of the amount to the employees. Contains correct details- This form contains the details which are absolutely perfect and there occurs no chance of discrepancy. The employees fill the form with accurate details to get back the amount. Future reference- This form is also used for future reference. In the future, if there are any issues, then this form can be used as a legal document. The target audience of this particular form is all the people working under an organization and are liable to get back the amount spent on travel. There cannot be any such category of people for this particular form. 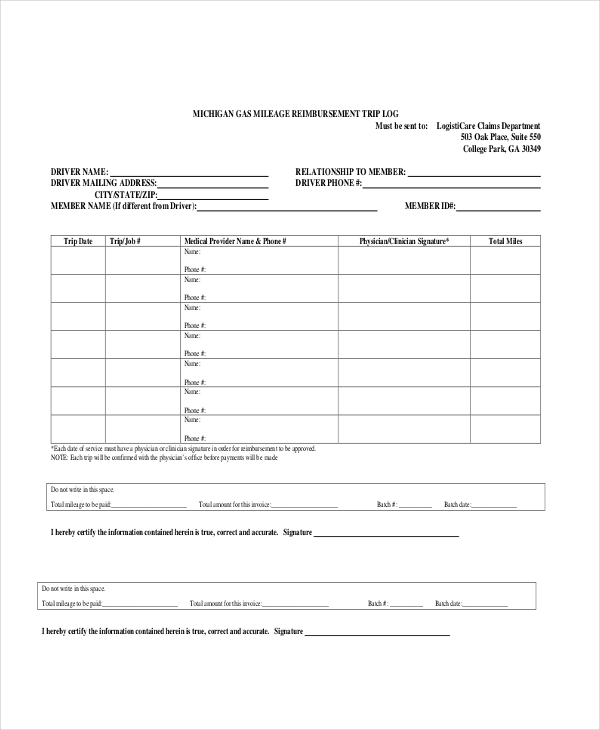 Every person who travels and is liable to get a reimbursement on the traveling amount uses this form. The use and purpose of a mileage reimbursement form is to only reimburse the amount to the employee. An employee spends a huge amount on traveling and it is the duty of the organization to reimburse the amount spent, to its workers. At that point of time, this form is used to reimburse the amount of money to the employee. This form is the only legal proof in the process of reimbursement. All forms of traveling expense are done with the help of this form. A mileage reimbursement form is a type of a form which is solely used for the purpose of reimbursement. This particular form is used by more or less every industry in repaying the amount spent by its employees in traveling. This form reimburses all the traveling cost within a particular period of time. All the details regarding the travel are filled in this form. This is the one and only document which serves as a correct and a legal one to get back all the traveling allowance. Every person who is indebted to get back amount spent on traveling should use this form.